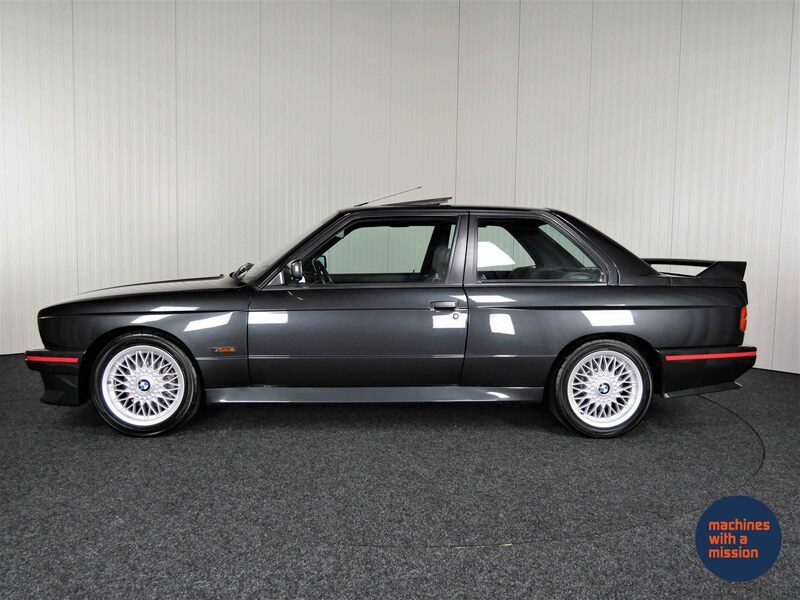 Born in 1985 as a swift and direct counter attack to the Mercedes 190e Cosworth 16 valve; these 2 homologation specials battled it out in the golden era of DTM competition. 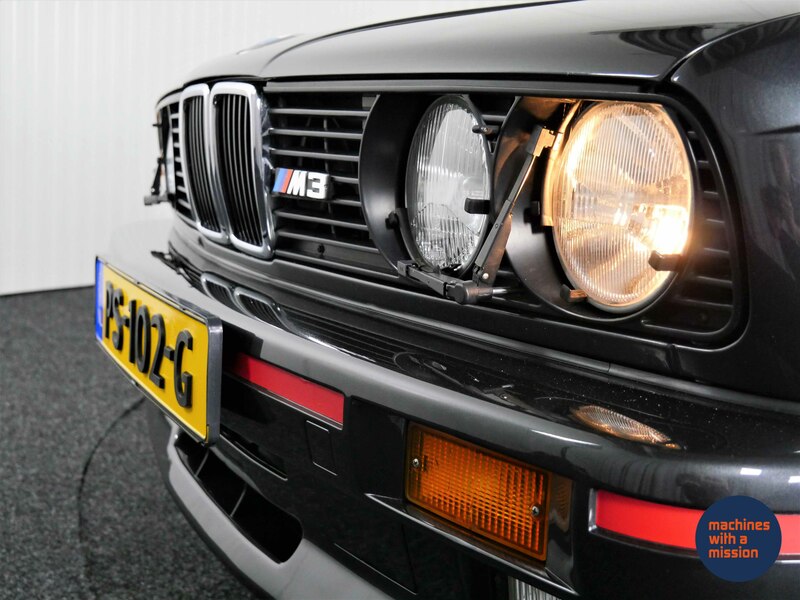 The Deutsche Tourwagen Meisterschaft was the point of focus for car loving Germans, and the absolute epitomy of the ‘Win on Sunday sell on Monday” Ethos so prevalent in German motorsports. 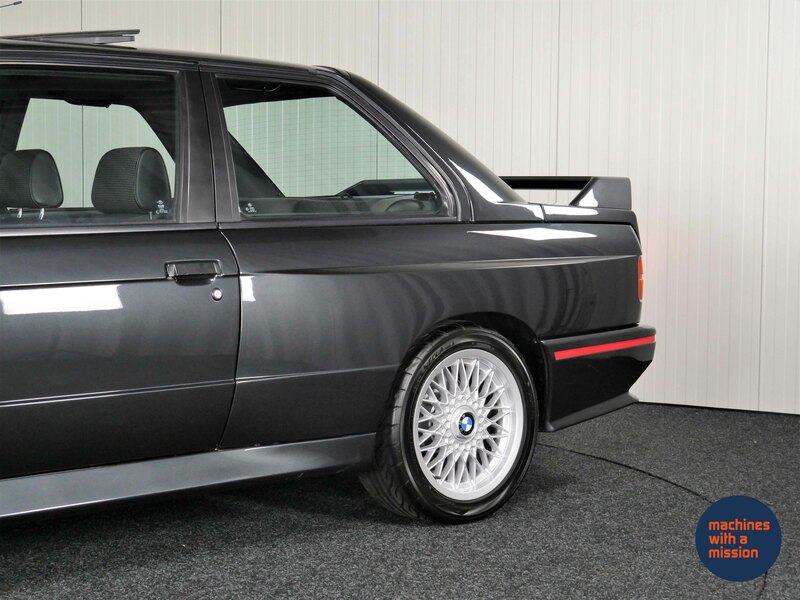 The Bavarian challenger defeated the Mercedes on all possible fronts and became an icon, dominating touring car racing globally during its lifespan. 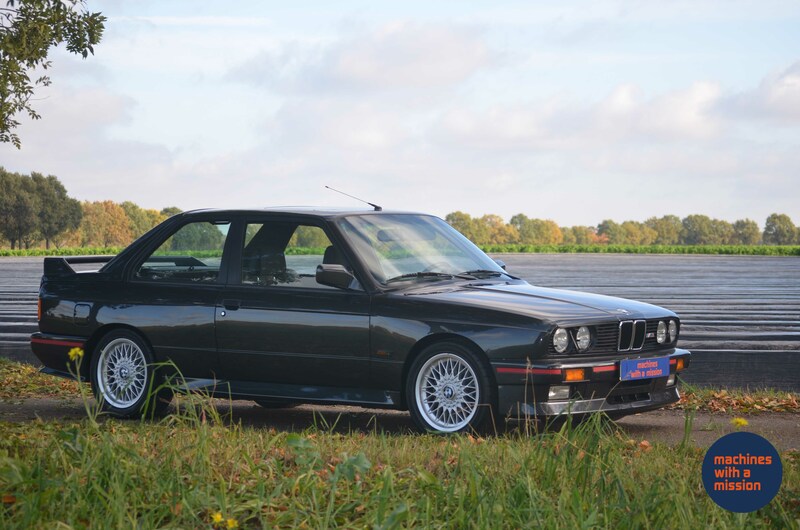 The M3 lives on to this day and is still the definitive sports saloon other manufacturers look to as comparison for their own sports saloon offerings. 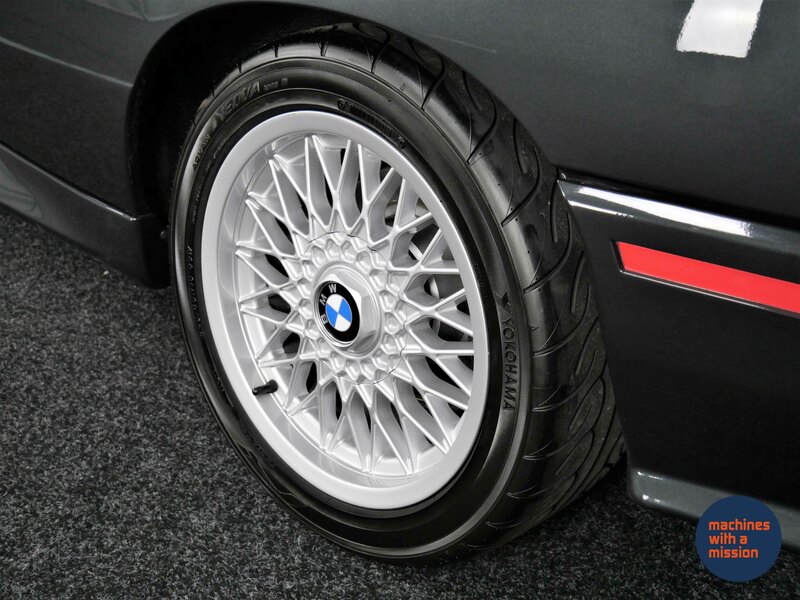 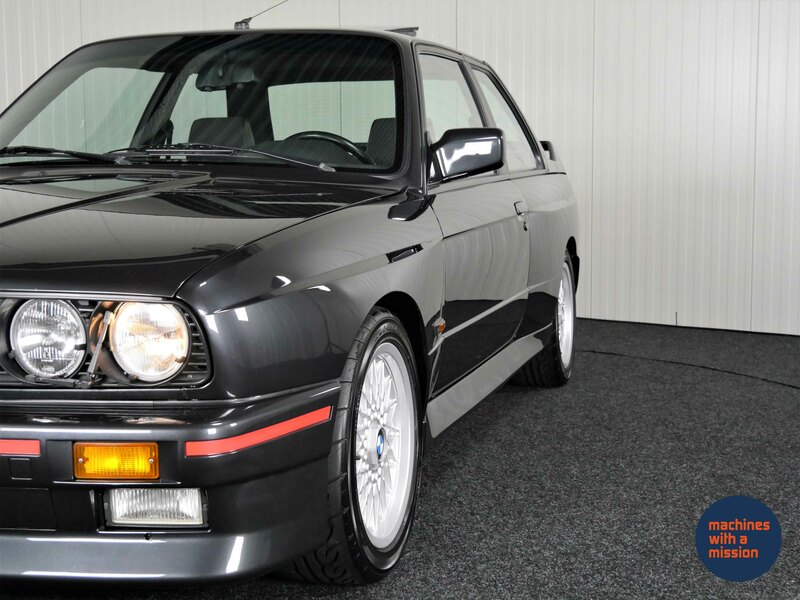 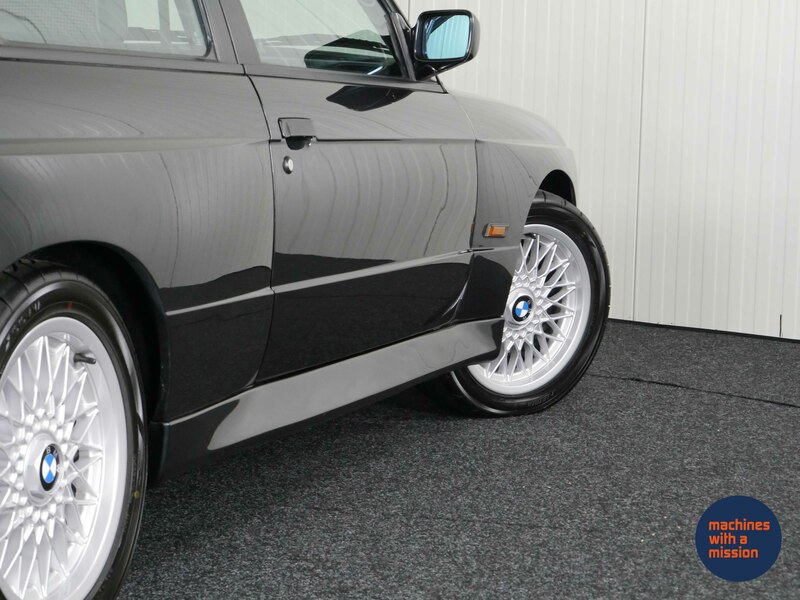 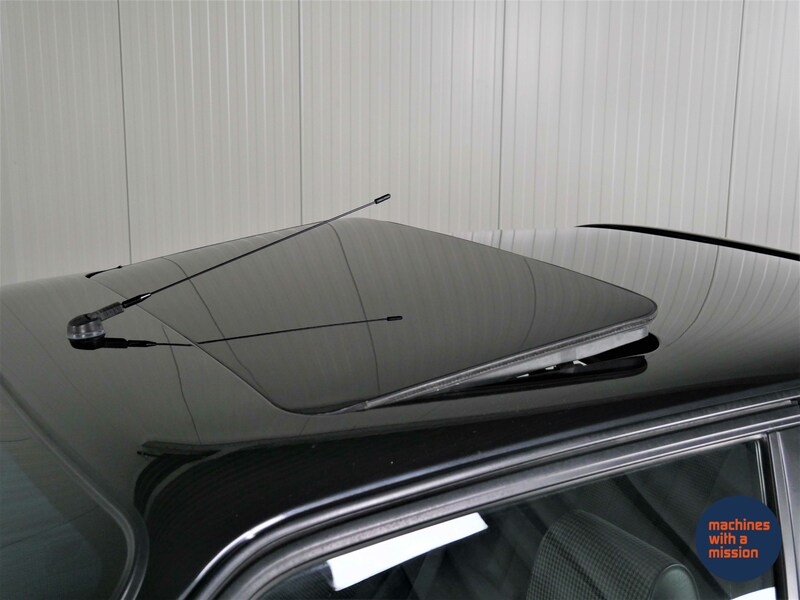 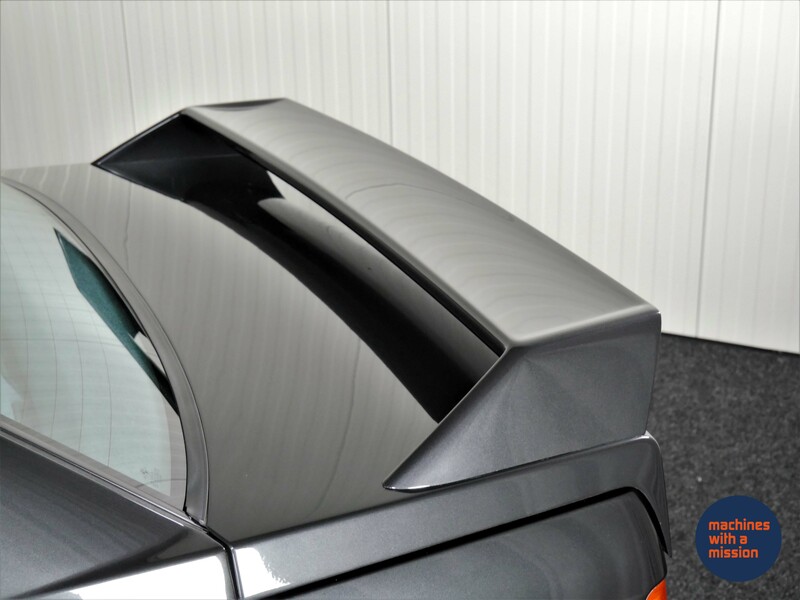 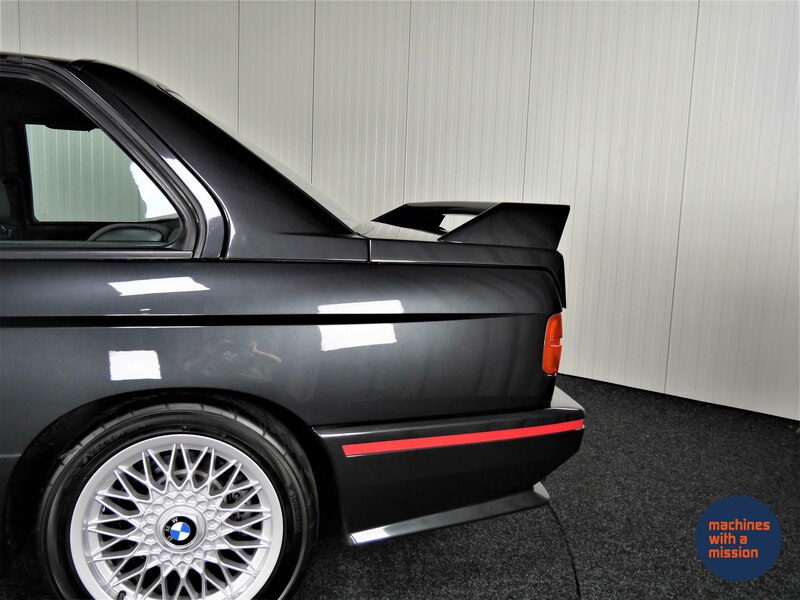 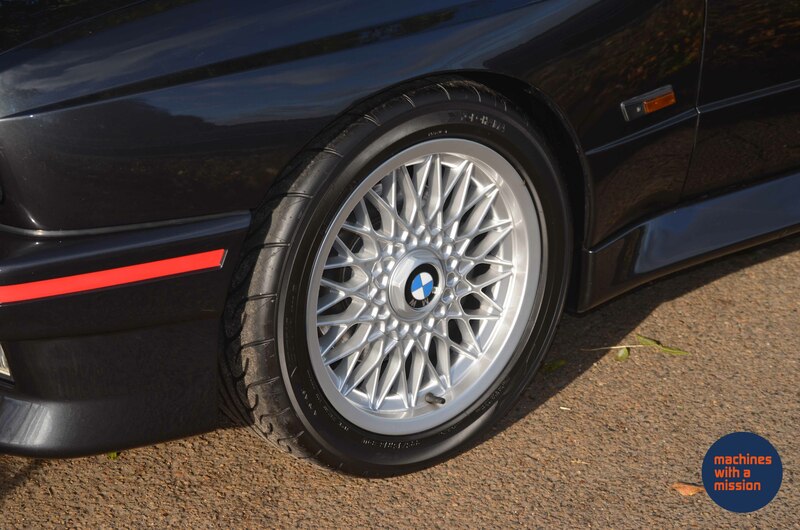 This 1989 BMW M3 was originally delivered to Switzerland in the desirable Diamantschwarz Metallic with red bumper accents. 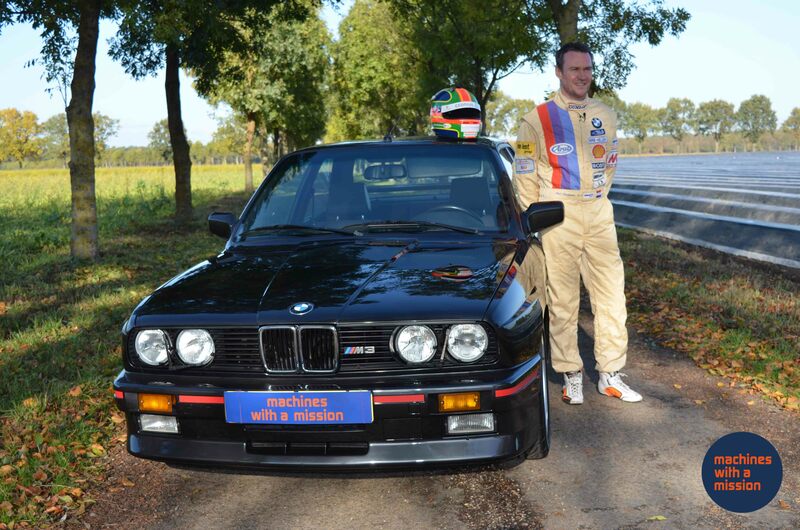 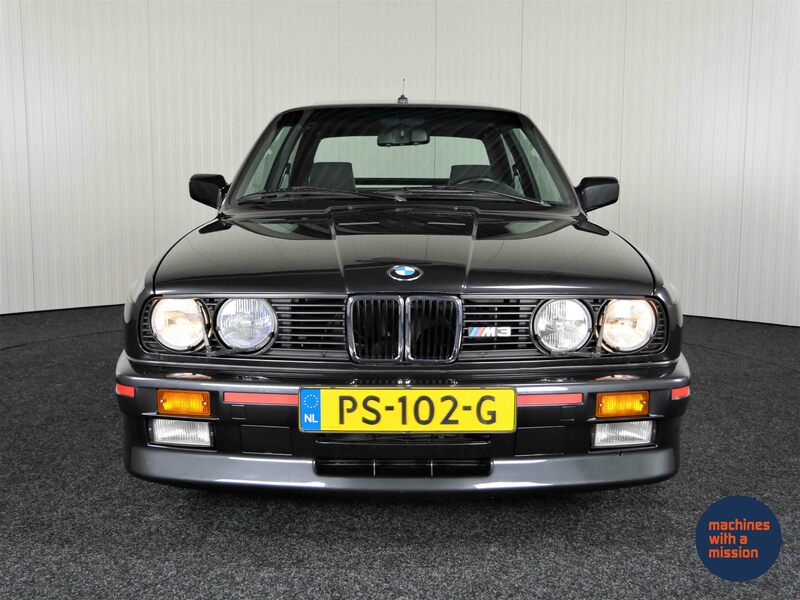 the car spent a number of years in Japan and was meticulously maintained and sparsely driven before being acquired by the current owner famed Dutch touring car racer Phil Bastiaans who has ample history with BMW, including 2 entries in the Spa 24hours with the Bavarian marque. 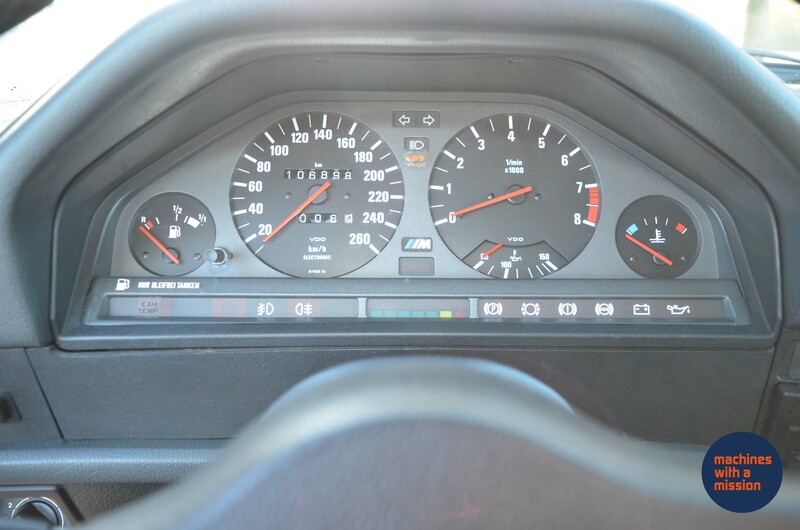 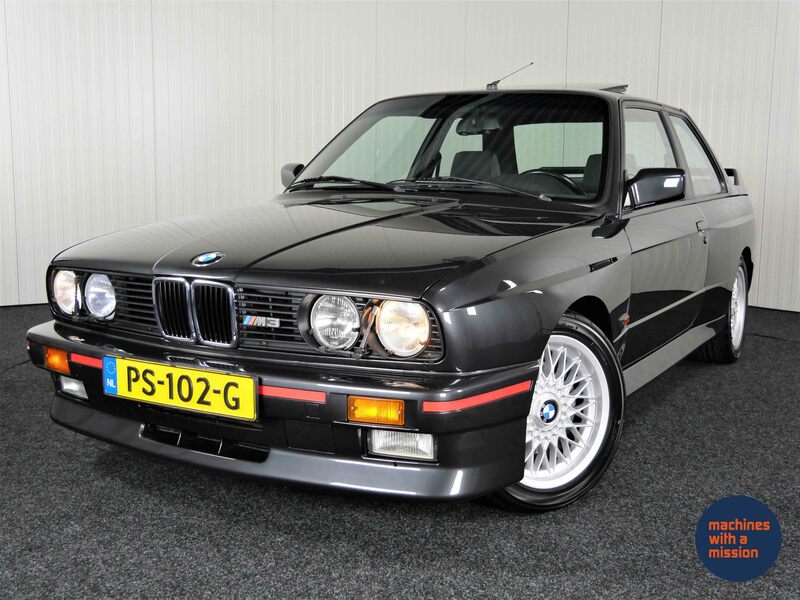 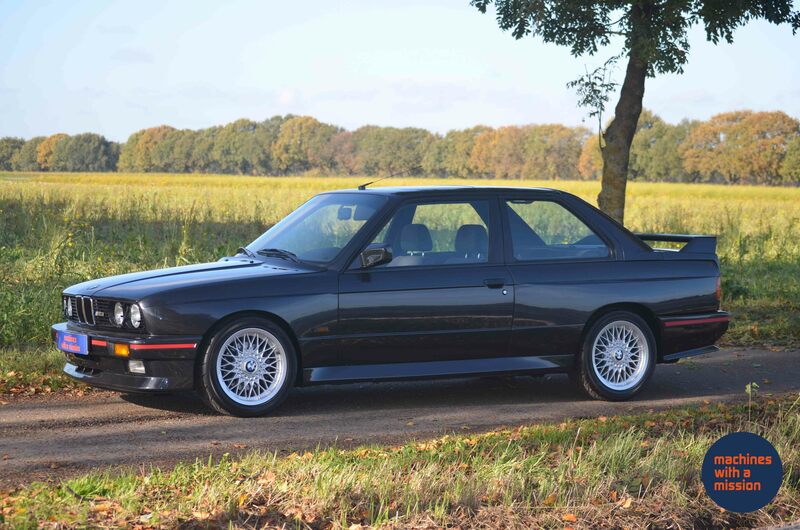 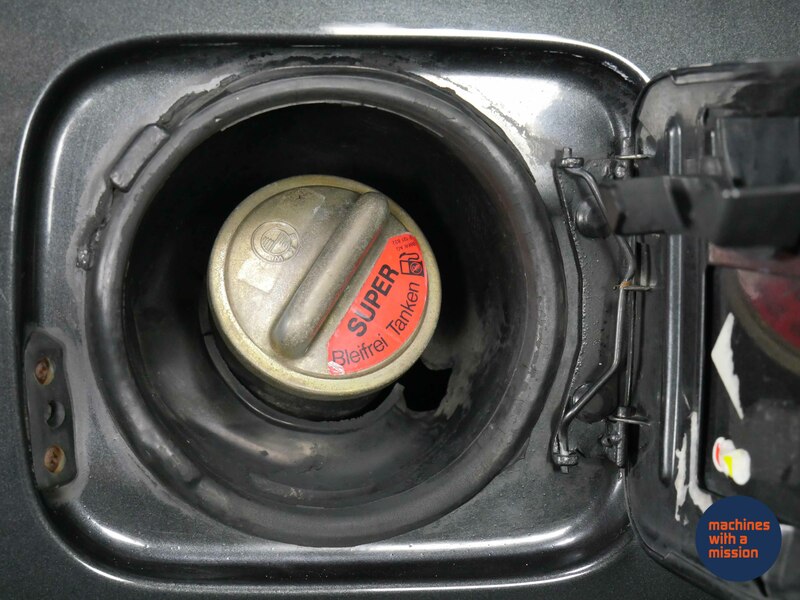 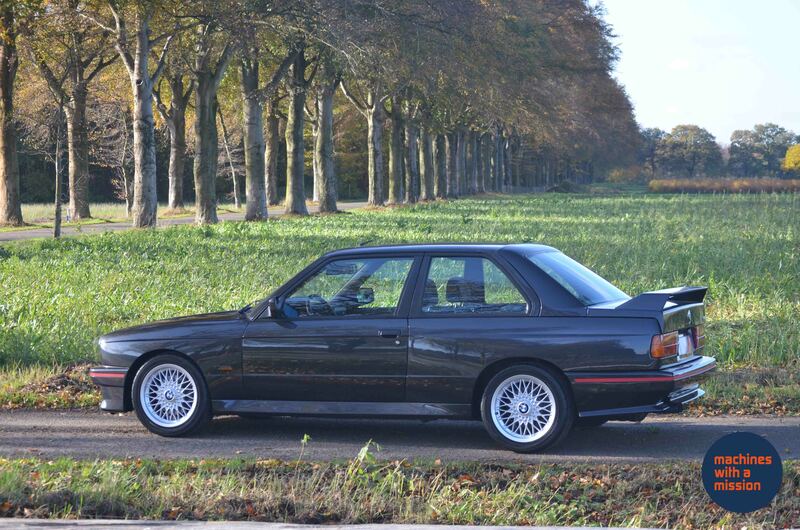 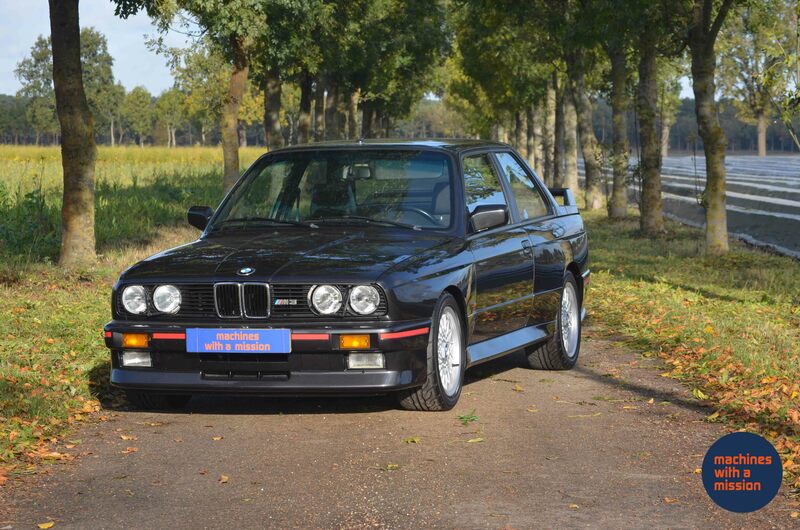 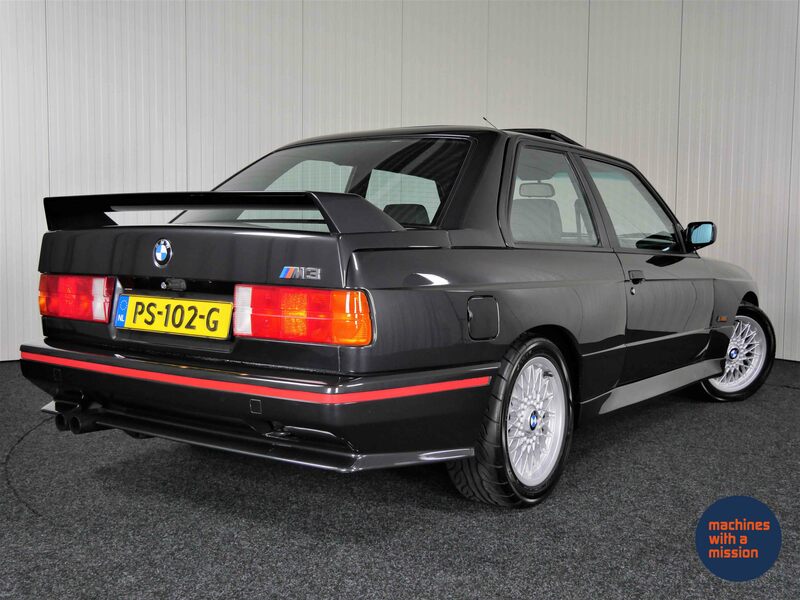 The later 1989 model of the E30 M3 received an updated version of the legendary S14 2.3 4cyl producing 215hp. 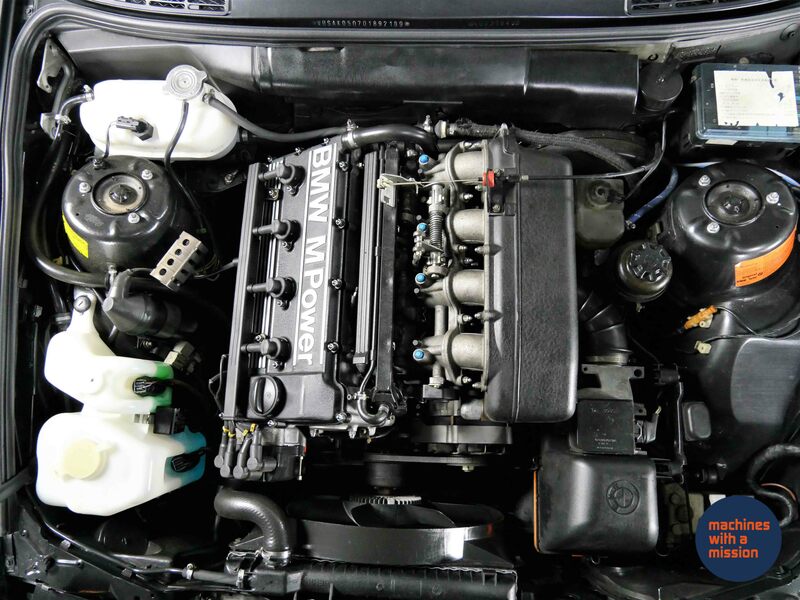 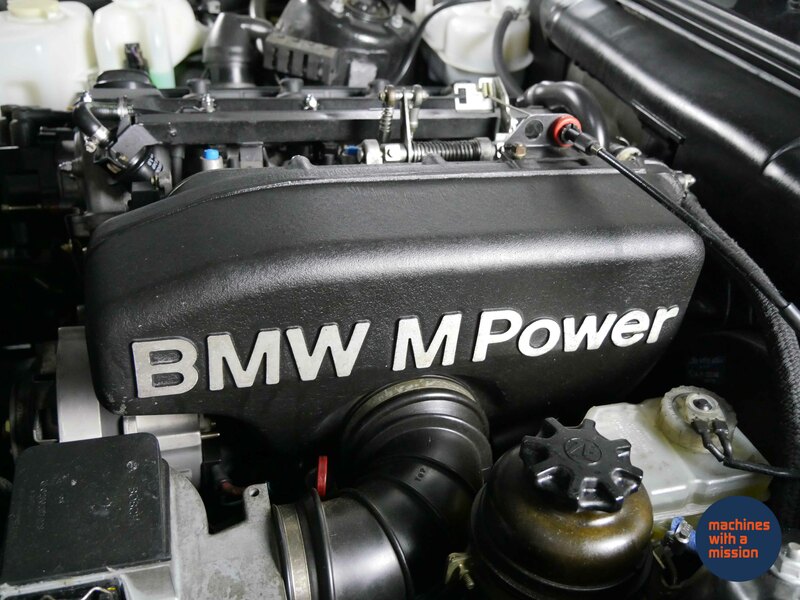 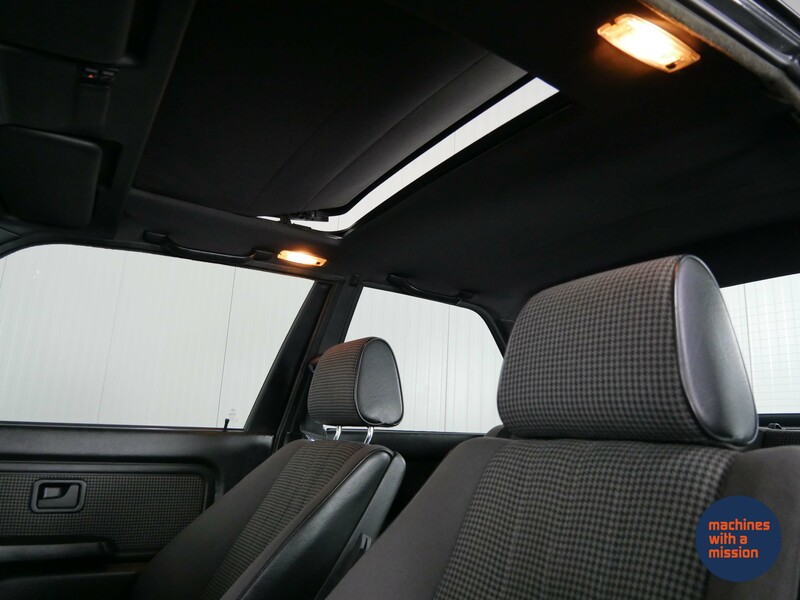 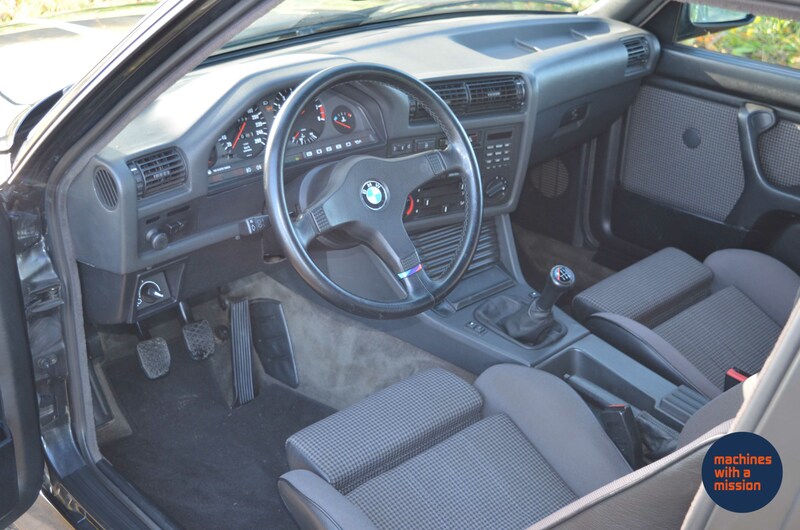 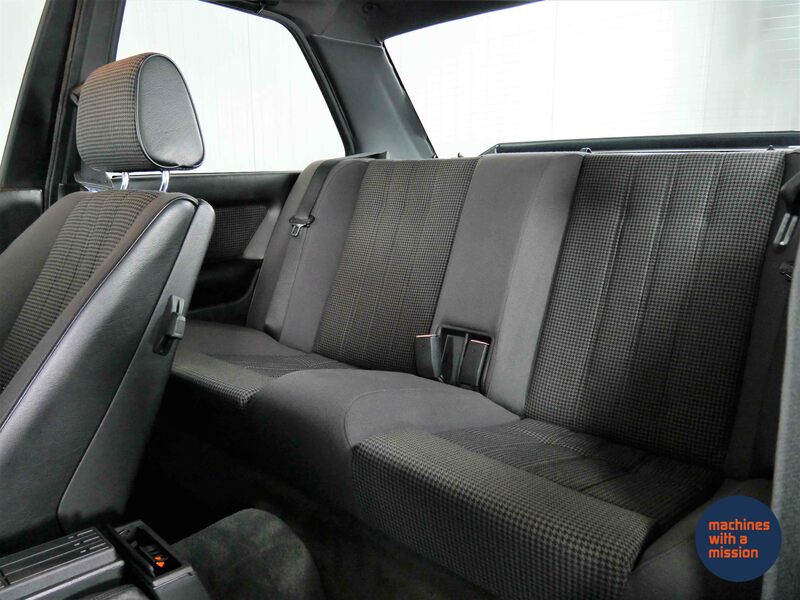 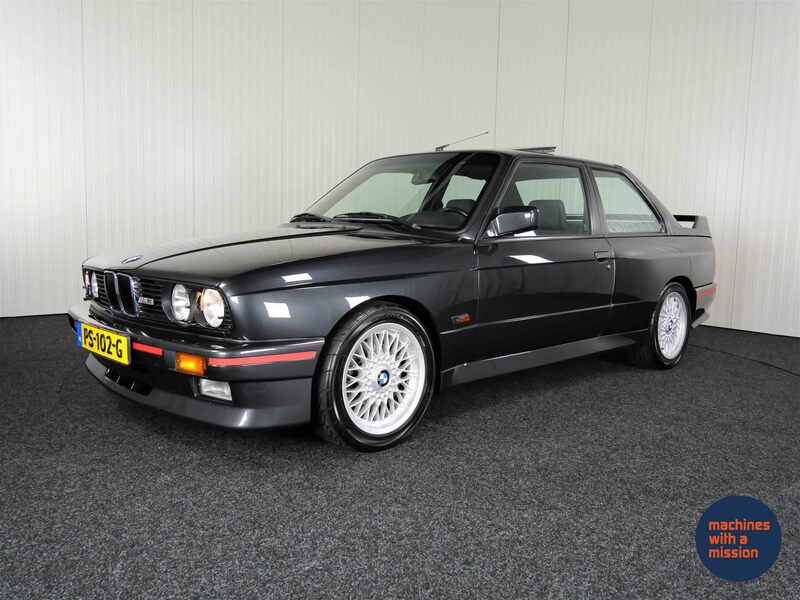 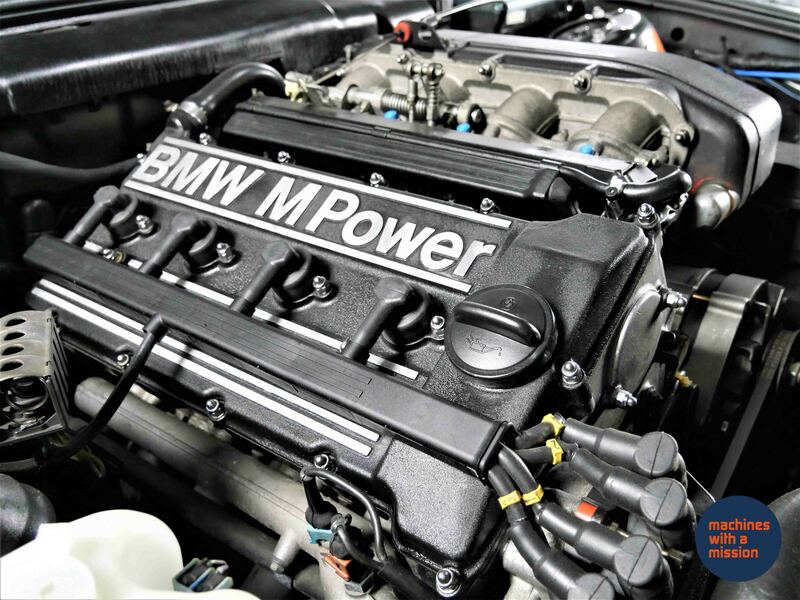 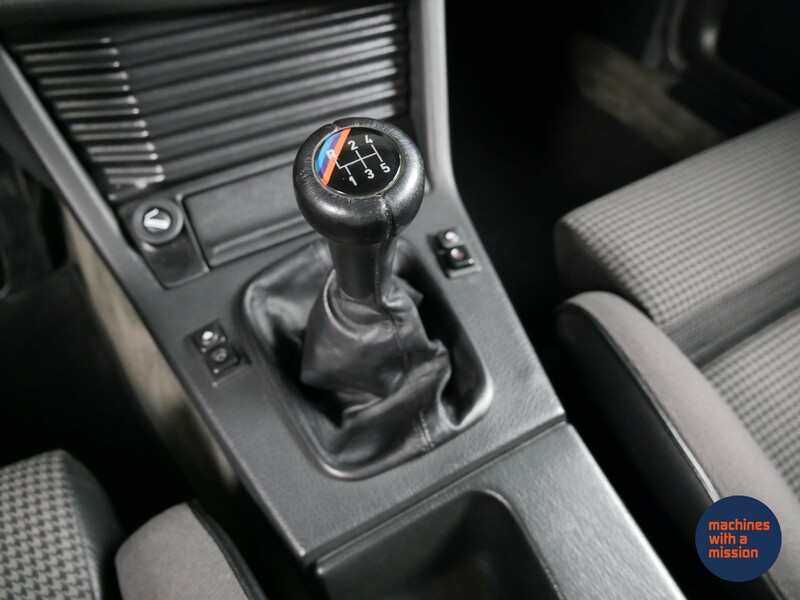 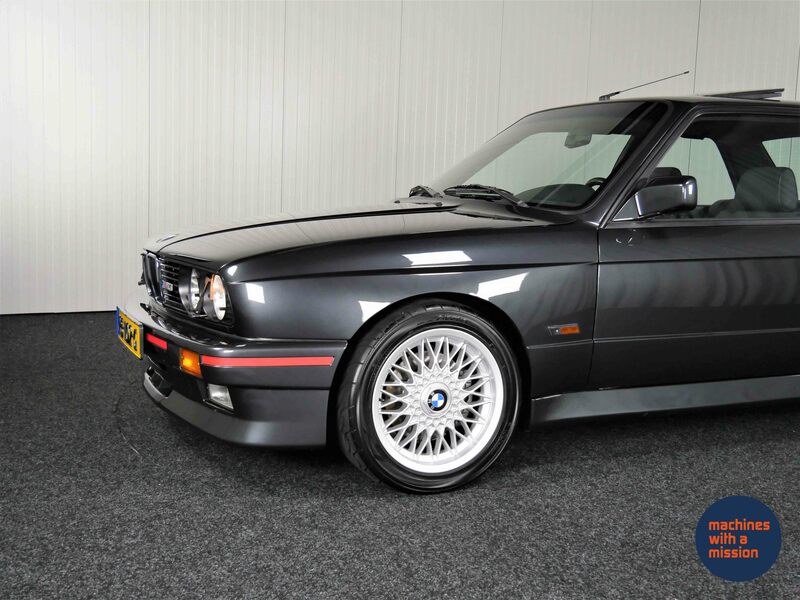 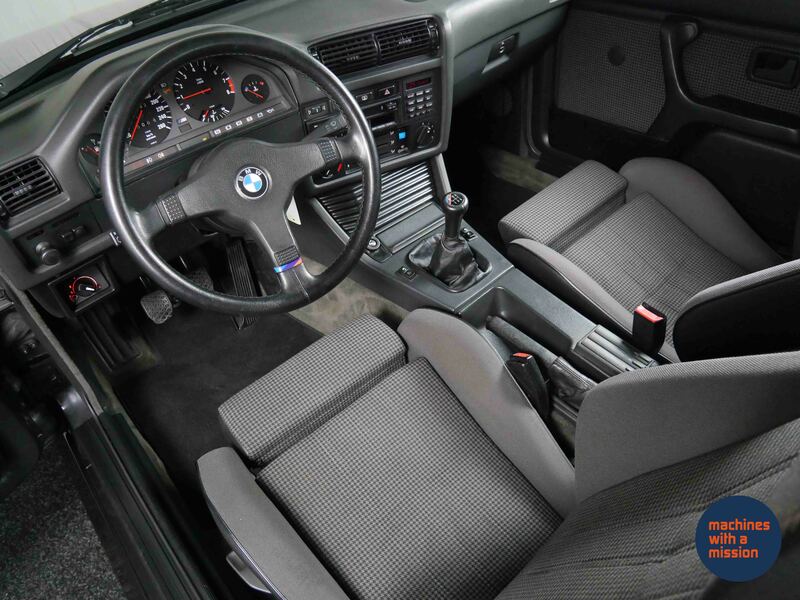 The standard close ratio gearbox and powerful character of the S14 engine mean the M3 still feels rapid today and its famed steering and driving characteristics are sure to persuade you to drive this M3 as originally intended.